ViewCompanion can view and convert your DWF files and other file formats. View Autodesk DWF 2D files. View Autodesk DWFx 2D files. View Adobe PDF, PLT, CGM and other formats. Convert your files to Adobe PDF, Autodesk DXF, TIFF, JPEG, CALS, PNG, PLT and many other formats. Print to any plotter or printer supported by Windows. Do batch convert and batch print. Do precise measurement with snap to drawing geometry. Compare two drawing files visually. Annotate your files with text, measurements, stamps, symbols, barcodes, polygons and other shapes. The Pro and Premium editions add support for viewing more file formats including TIFF, CALS, PNG, EDMICS and JPEG. A fully functional evaluation copy can be downloaded from our web site. The downloaded product will run in evaluation mode for a period of 30 days. Do you need to add conversion of DWF and DWFx files to your own solution? ScConverter can be easily integrated into your application using either the COM interface, or by using ordinary DLL import. scConverter can convert DWF, PDF, PLT, CGM, TIFF and other formats. 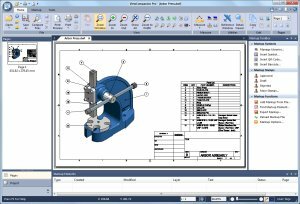 All the supported formats can be converted to PDF, DXF, CGM, PLT, TIFF, PNG, JPG and more.